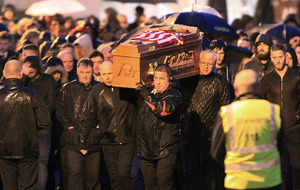 Fellow Derry footballer James McClean described his friend as a "warrior that literally would throw his body on the line" and "more importantly a big gentleman off the field"
DERRY City FC captain Ryan McBride was "an inspirational leader" on the football pitch and a "great role model" for young people, mourners at his funeral have been told. 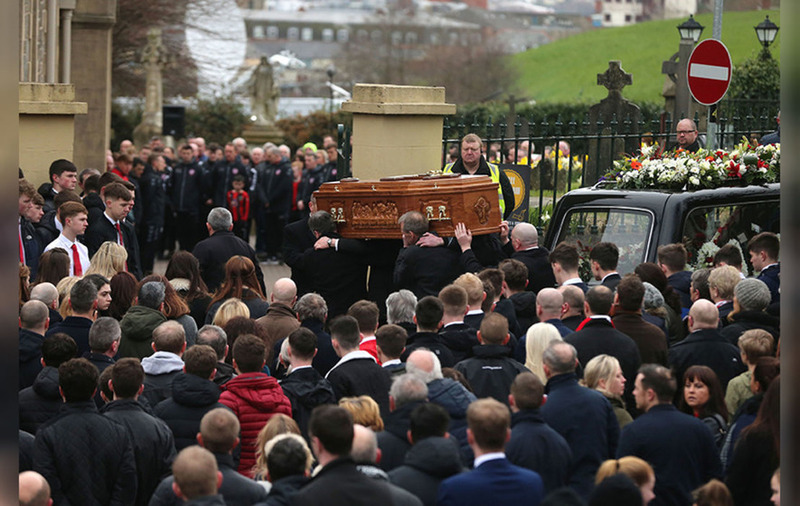 The 27-year-old died at home on Sunday and Requiem Mass was celebrated this morning at St Columba's Church Longtower in his hometown of Derry. 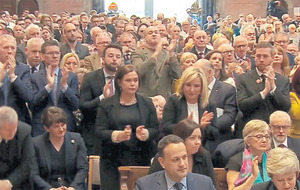 President Michael D Higgins was among the mourners, some of whom carried banners celebrating the player who wore the number 5 jersey. 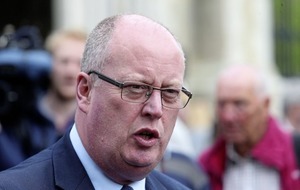 Fr Aidan Mullan said while many people knew Mr McBride's public story, his family and community "know well his personal story". Describing the footballer as "an athlete on his prime", Fr Mullan said he had achieved much "and still had great potential". "The club management, the team, the supporters, all have been caught up in his natural footballing ability; in his courageous play. 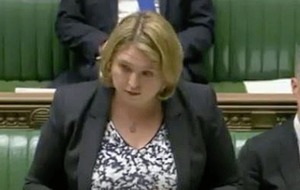 As has been said many times: Ryan would put his head where other players would not put their boot." The 27-year-old "was brave and knew no fear", he said, adding " As captain he was an inspirational leader in the dressing room and on the field of play." 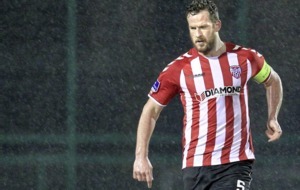 "In the last several weeks Ryan was pivotal in great performances and contributed greatly to Derry's perfect start to the season; quick reflexes, heady play and competitive spirit, made him a great role model for many young boys and girls as well as City supporters and fans throughout the area." His last match was a 4-0 win over Drogheda United in the League of Ireland Premier Division last Saturday. 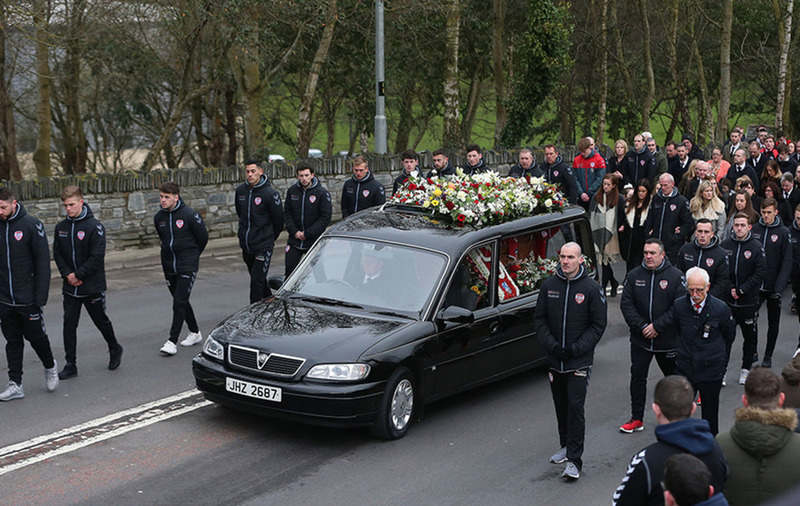 Kenny Shiels, the Derry City manager, also paid an emotional tribute to his captain in a poem. "You were our captain, without all the hype. You were our captain, the one and only, the top Candystripe," he said. 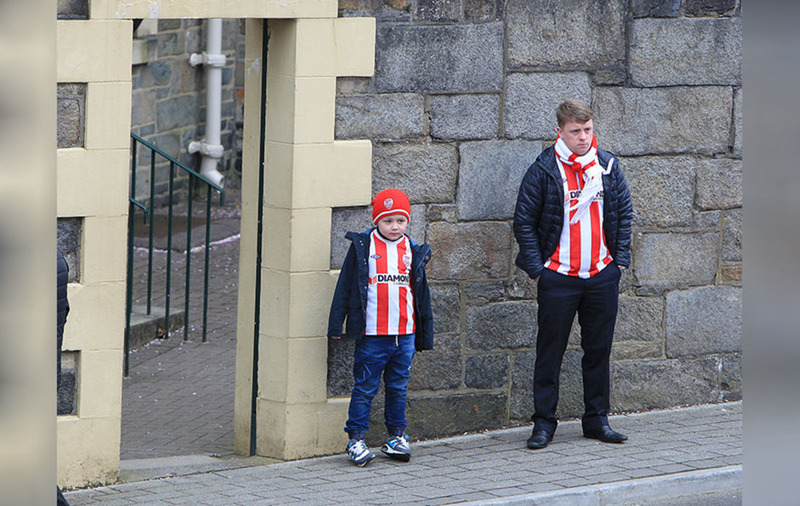 "Our Brandywell Boy, you wore stripes with great pride. It made you so happy to play in the side. "Ryan we love you with all our heart, a giant so gentle and now we are apart. "In your absence we'll still play the game but in your absence it won't be the same." Mr McBride is survived by his father Lexie, sisters Colleen, Siunin and Caitlain and partner Mairead. A special tribute will be made at the Republic of Ireland's World Cup qualifier against Wales in Dublin on Friday. A minute's applause will be held prior to Northern Ireland's World Cup qualifier with Norway in Belfast this weekend.